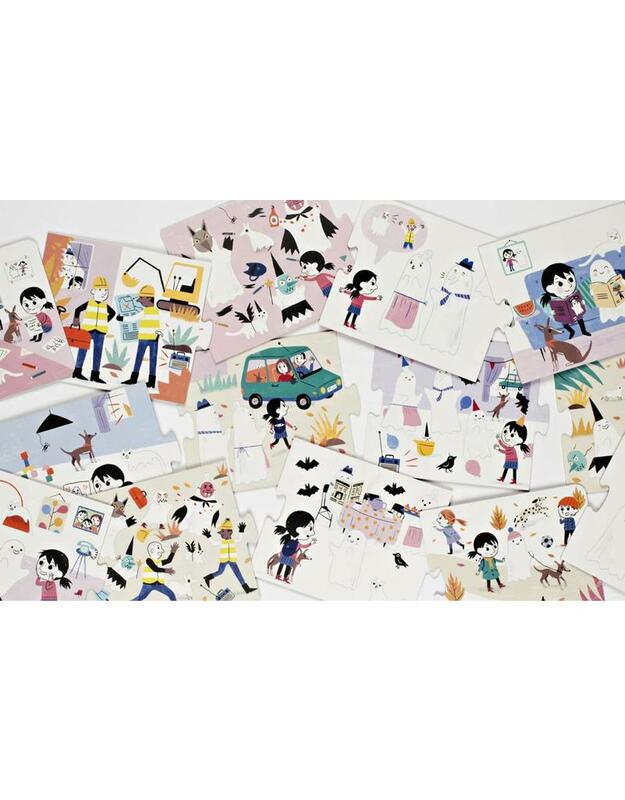 Twenty interchangeable storrytelling cards, perfect for stilmulating children's imaginations and helping them develop their narrative skills. 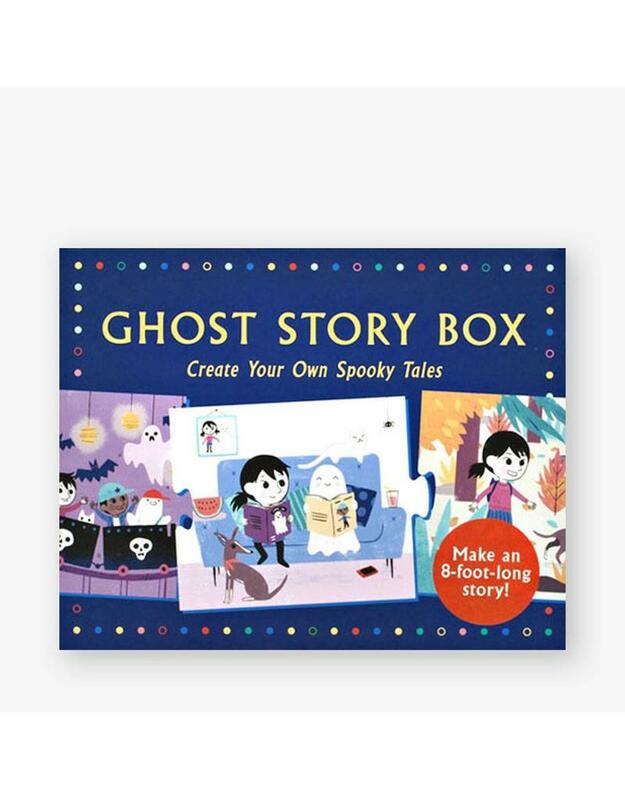 Create your own spooky tales - based on a unique and award-winning format, this game contains 20 storytelling puzzle pieces printed on both sides. 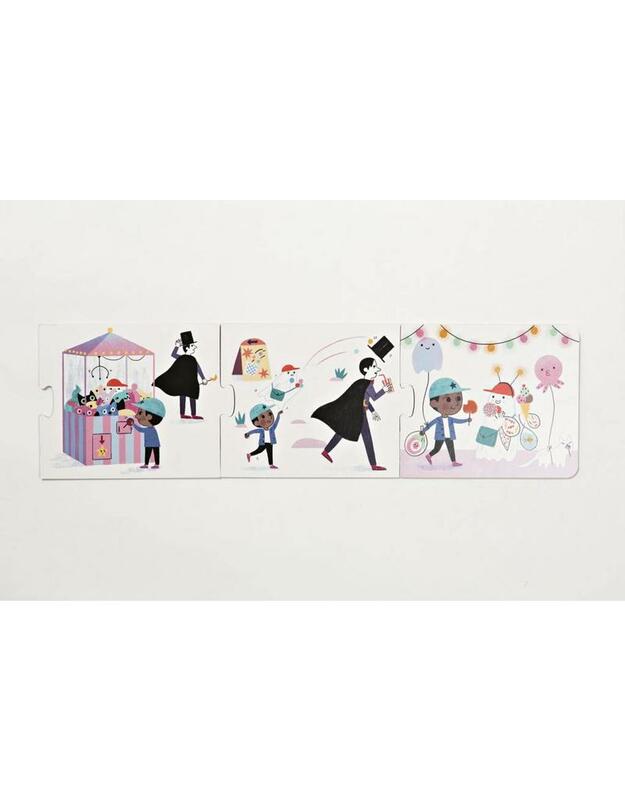 Each piece can be interchanged or flipped over to allow for all kinds of plot twists and turns, and there are even three alternative endings! When all the puzzle pieces are used, they stretch out to over 8-feet long to tell your own mega story! Can you help a friendly family of ghosts save their house from the bulldozers? How will you evade the evil ghost catcher at the funfair and release all the captured spirits É or do the pieces hold another tale? Tell a different story each time you play! Ella Bailey is a Nottingham-based illustrator. 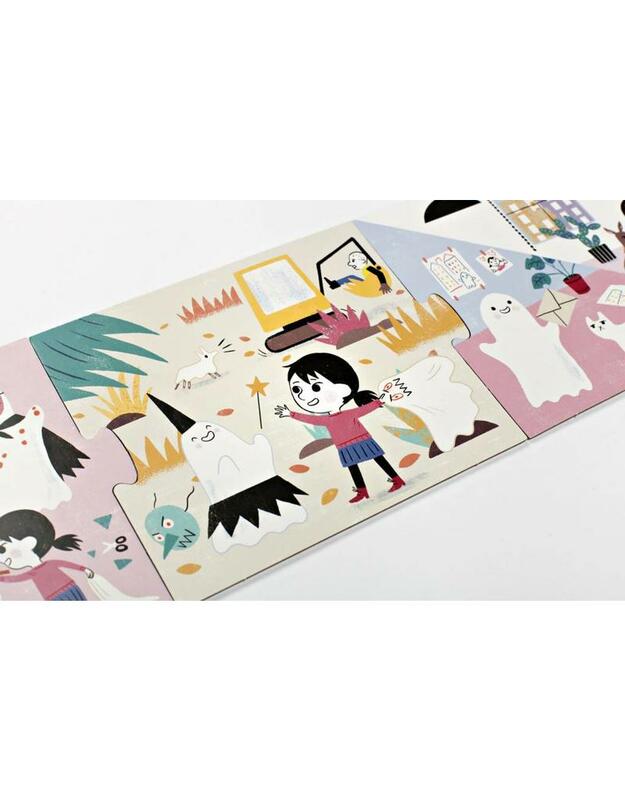 She has taken on projects for Flying Eye Books, Nobrow press and Simon & Schuster.